Leeds claimed the bragging rights over former favourite Chris Wood and Roses rivals Burnley, booking their place in the last 16 of the Carabao Cup on penalties. The away contingent at times seemed to have come to Lancashire with the sole aim of laying into Wood, who swapped Elland Road for Turf Moor last month, and fellow old boy Charlie Taylor, but they left with the possibility of a cup run to go with top spot in the Sky Bet Championship. 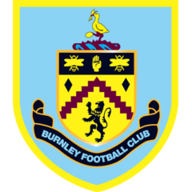 The sides each scored twice in the last 11 minutes, including Wood from the spot, and after a barren extra-time, Burnley's captain for the night James Tarkowski saw his penalty saved by Andy Lonergan to hand the away side a 5-3 shootout win. They had twice looked like sealing a smash-and-grab victory in normal time, with Pablo Hernandez teeing up Hadi Sacko for a breakaway 79th-minute opener, then making it 2-1 with an injury-time penalty. Wood levelled first, briefly replacing the jeers of the away end with indignant silence, before Robbie Brady's graceful free-kick ensured extra-time. There were 16 changes in total and, tellingly, all four goals came from substitutes. Burnley, though, should have broken the deadlock long before the benches emptied. Kevin Long shook off Gaetano Berardi to meet Johann Berg Gudmundsson's free-kick but nodded wide from six yards, while Scott Arfield's quick feet were not enough to stop him clipping inches wide after Sam Vokes' cut-back. Ashley Barnes missed by a similar margin when he nipped in front of Luke Ayling and glanced Phil Bardsley's cross past the far post. 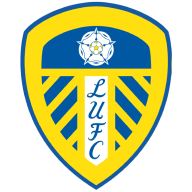 Leeds made a concerted effort to get into the contest after the break, Kemar Roofe and Ronaldo Vieira belatedly making themselves known in midfield and Sacko adding energy from the bench. For Burnley, Gudmundsson was trying in vain to settle matters in normal time. The 71st minute saw Wood replace Vokes, instantly taking his share of the Leeds taunts, with Brady also entering under the radar. But it was Leeds who finally broke the deadlock, Hernandez playing a brilliant, opportunistic pass mere moments after stepping on the field. His vision granted Sacko the chance to sprint through on goal, though it was surely fortune rather than grand planning that saw his shot snake between Nick Pope's legs. That looked to be enough for Leeds until Long won a penalty from Berardi in the 88th minute. Wood - who else - stepped up and, after some minor mind games from Lonergan, slotted home calmly. The away end were silenced, but not for long. With six minutes of injury time there was plenty of room for drama - and for a second penalty, after Tarkowski was judged to have impeded Roofe. Hernandez did the job from 12 yards with a nonchalant effort. By now both sides were fully warmed to their task and, when Brady was given the chance to take aim with a 25-yard free-kick, it seemed almost inevitable that the top corner would soon be bulging. Within seconds, it was. The additional half-hour saw an end to the free-scoring, though Wood headed one chance over. The New Zealand forward netted in the shootout, as he had done in normal time, but Tarkowski's poor hit left the door open for Stuart Dallas to win it with a confident strike.